Ann feels incredibly fortunate to have had a rewarding career as a biologist and to raise her family, recreate, and live in Alaska! Immediately after retiring from a 33-year career with the U.S. Fish and Wildlife Service (USFWS) in Anchorage, a long time member, she joined the Board of The Alaska Center Education Fund in 2012. At the USFWS, Ann worked on issues active in both the ’80s and now (Susitna/Su­Watana hydropower, Beluga/Chuitna coal), as well as Arctic Refuge Coastal Plain environmental evaluations, and the Exxon Valdez Oil Spill. She was subsequently involved in endangered species, conservation planning, environmental contaminants, habitat restoration, and fisheries as Field Supervisor for the USFWS Anchorage Fish and Wildlife Field Office. Recognizing the importance of connecting youth with nature, Ann participated in several USFWS youth programs, organized natural resources career fairs at several Anchorage high schools, co-­chaired the Get Outdoors, Anchorage! coalition, supported youth sessions at the Alaska Forum on the Environment, and was a mentor in the Alaska Women’s Environmental Network program. Ann also recently spent a few years as Conservation Director at The Nature Conservancy where she acquired non-profit experience useful to her current position as our Board chair. Ann and her husband, David, have a son and daughter who enjoyed many summers as Trailside Discovery campers when they were younger; one was also an AYEA teen. Taking their Bernese Mountain dog Nellie, and Brittany Spaniel, Rascal, for daily walks provides Ann and David with frequent outdoor adventures, and Ann also enjoys x-country skiing, gardening, and biking. 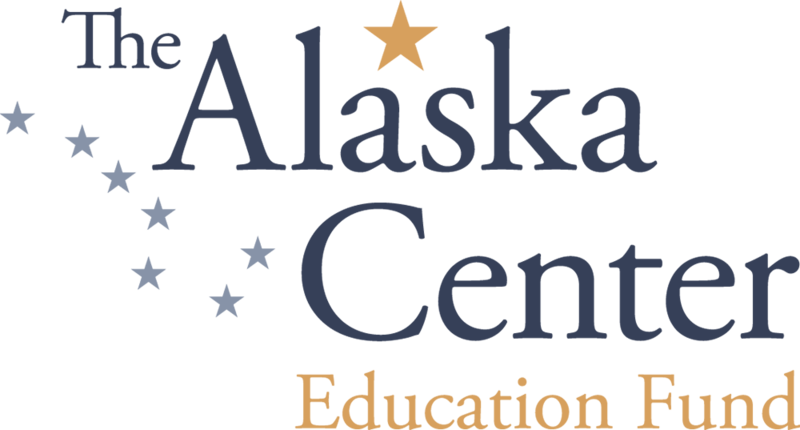 Ann is excited to be involved with The Alaska Center and the Alaska Center Education Fund so that she can continue working to conserve Alaska’s tremendous natural resources and ensure the involvement of our youth who will inherit what we conserve. Brad is a long time board member for The Alaska Center Education Fund, and is passionate about the organization’s environmental advocacy, work on climate change and engagement of youth in conservation issues. Brad is an attorney whose practice primarily involves representing individuals and public interest organizations concerning environmental, real property and land use issues throughout Alaska. After receiving his master’s degree in environmental law from Vermont Law School in 1997, Brad traveled to Alaska for a camping trip and never left. Nearly twenty years later, Brad remains committed to ensuring a sustainable, healthy environment for present and future generations. Brad also serves on the board of the Alaska Avalanche School. Brad, his wife and four year old twins live in Eagle River. Key Getty first arrived in Alaska in 1980 as a young military spouse. She went on to study math and accounting at UAA and became a certified public accountant. During her public accounting life, she extensively traveled to rural areas and small towns of Alaska as an auditor and trainer. That was when Key began to understand and appreciate the life of subsistence, cultural preservation, and environmental conservation, as well as economic development. During most of her career, Key’s focus was serving the needs of nonprofit organizations (and some were directly related to these values.) From setting up a new exempt entity to handling a special case before the IRS to helping clients with the everyday challenges of a nonprofit organization. As a volunteer, Key has served on many community projects and boards in a various capacity, and recently joined The Alaska Center and The Alaska Center Education Fund as Treasurer. She is also a board member of Bridge Builders of Anchorage, National Unification Advisory Council, and Korean Language School to name a few. She is a licensed CPA in the State of AK and a member in good standing of AICPA (American Institute of Certified Public Accountant) and ASCPA (Alaska Society of Certified Public Accountant). During her spare time, she enjoys spending time with her grandson, reading and gardening. Born and raised in Fairbanks, Kyndall holds both a Bachelor of Science and Masters of Science in Biology from the University of Alaska Fairbanks. Her research on mammal genetics has taken her to Tanzania, Madagascar, and throughout Alaska. Kyndall is currently the Collection Manager for the Genomics Resource Collection at the University of Alaska Museum where she manages one of the world’s largest collection of genetic tissue, an ancient DNA laboratory, and a modern laboratory. In addition to her science background, Kyndall has a strong background in education. Kyndall’s free-time is spent cross-country skiing, snowboarding, skijoring with her three dogs, and distance running. Kyndall supports several youth programs such as 4-H and Girls on the Run. Kyndall and her husband Shane enjoy their ever expanding micro farm; raising ducks and geese for eggs, gardening, beekeeping, and growing mushrooms. Camilla was born in Germany, grew up in Syria, and has lived in the United States for over 30 years, 12 of them in Alaska. While living in Germany and Syria during her youth, Camilla grew up with an early awareness of environmental change in the early 1970’s when glaciers started to melt in the mountains surrounding her hometown in the Bavarian Alps. She also learned from her Syrian grandmother, a traditional healer, about Indigenous Knowledge of the people who lived around the Sea of Galilee and the Syrian Golan Heights. She learned how to garden in Oregon, New Mexico and South Florida and Alaska, and started bird watching in New Mexico. Living around the edges of the Everglades in South Florida, Camilla became involved with wildlife conservation efforts by eradicating invasive plant species and establishing a Wildlife Reserve in her neighborhood. She even had her backyard certified as a wildlife backyard habitat by the National Wildlife Federation providing native species of butterflies, amphibians, and birds food and shelter.Camilla studied Biology in Germany and graduated with a Bachelor of Arts in Criminal Justice, minoring in Legal Studies at the University of Alaska. She is currently finishing her Master’s in Public Administration degree with an emphasis in Public Policy Analysis. She has been involved with several social justice projects in and around Anchorage, and sits on the board of, and volunteers for several public interest organizations. Her passion to help others, advocate for social justice, and to ensure a sustainable, healthy environment for present and future generations, is at the forefront of her mission. Camilla’s hobbies are knitting, cooking for others, event planning, philanthropy, politics, volunteering, birdwatching, and gardening. She is the mother of three daughters, her oldest, Salome, who is an environmental data scientist in Sydney, Australia, Yassi, is her middle daughter who is Montana to earn a degree in early childhood education in Bozeman Montana, and Mimi the youngest who is still attending high school in Eagle River. Camilla currently lives with her domestic partner Steve, daughter Mimi, Soraya, a black Labrador, and Chillie, a geriatric Pomeranian mix, in Eagle River. Nauri was born in Utkiagvik (Barrow) and spent her early childhood living in the small village of Nuiqsut where she developed a strong connection to the outdoors and a subsistence lifestyle. Nauri later moved to Fairbanks where she met her husband. After living the military lifestyle for a while and having two children, her and her husband moved back to southern Alaska and now she works for ASRC Energy Services as a Health, Safety, Environment and Training Technician. Nauri also works with HBSP, a committee dedicated to improving infant and mother health on the north-slope. Nauri spends time playing the guitar and piano and loves to take a good picture whether it’s of her family and friends or of the beautiful Alaskan outdoors. She also like to draw, hike, ice skate and is up to trying just about anything.